Yesterday we told you that the Galaxy On7 Prime is available from today in India. 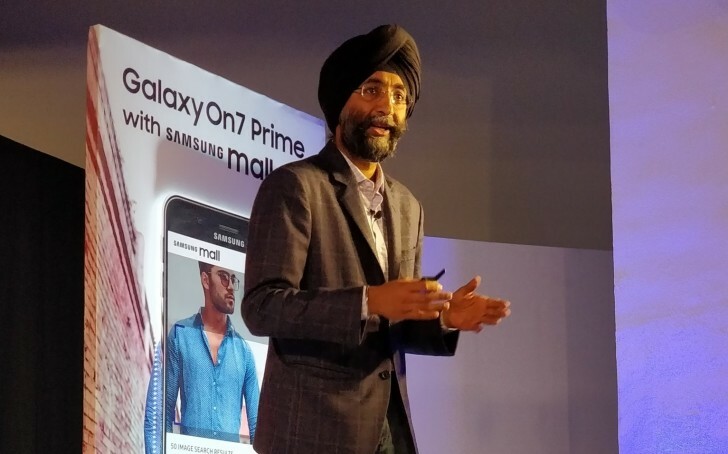 There was an official launch event where Sandeep Singh Arora, Vice President of Marketing at Samsung, introduced the phone. He also stated that 3 million users in India have already signed up for Samsung Pay since its introduction in March 2017. The service supports major banks like Axis, Citi, HDFC, and Standard Chartered with Mastercard, Visa and American Express cards. Samsung also partners with Paytm and UPI for unified payments. Devices, compatible with Samsung Pay in India are: Galaxy Note8, Galaxy S8+, Galaxy S8, Galaxy S7 edge, Galaxy S7, Galaxy S6 edge+, Galaxy Note 5, Galaxy A7 (2017), Galaxy A5 (2017), A5 (2016), A7 (2016), Galaxy A9 Pro and Galaxy J7 Pro. For you perhaps Always works fine for me. Love that it works with or without Tap Never fails to shock and amaze!